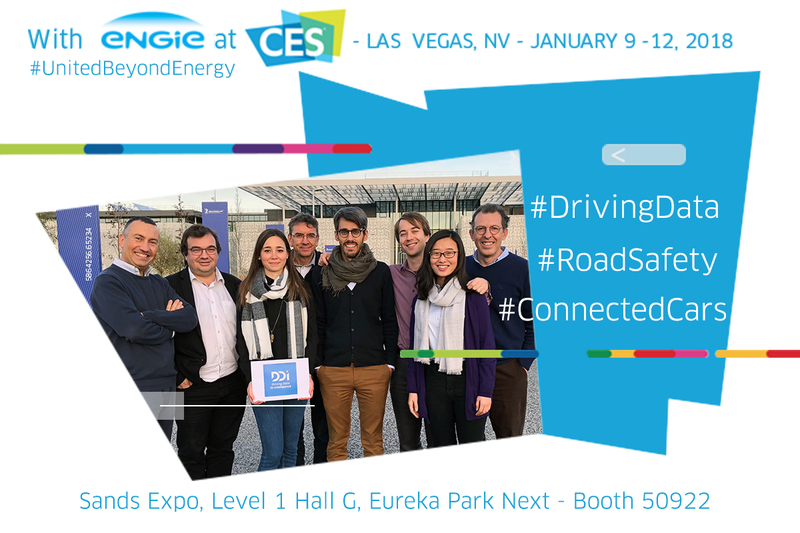 Michelin is one of ENGIE’s long-term partners, and already joined us at CES in 2017. 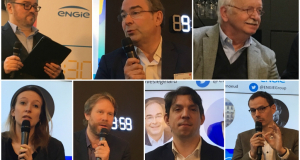 The experience clearly proved to be a positive one since Michelin is back in 2018 with two new startups, including DDI, one of their internal startups. Sébastien Bartaud, Initiative Leader, tells us more about this solution for behavior analysis. Q- Hello Sebastien. Can you give us a short introduction to DDI? DDI 'Driving Data Intelligence) is an initiative from the Michelin Incubator that provides analyses of driver behavior and vehicle usage based on data from sensors embedded in the vehicles. Our project combines Michelin's know-how and historical expertise in vehicle dynamics and ground connection with new digital technologies, mass data processing, and information transmission through the Internet of Things and the cloud. For 125 years Michelin has been observing and analyzing the way people drive. Combining this historical expertise with technologies that combine digital technologies and connectivity, helps us offer ever-safer transportation. Q- People think that that Michelin is only about tires, but that’s not true, right? Michelin makes a lot of tires. But tires don’t come fully formed out of nothing! Designing a tire involves observations of physical principles and dynamics. The tire is the only point of contact between the road and the driver, and creating one involves a whole range of areas of expertise like chemistry (for the material properties) to mathematics and physics, and then the industrial production processes. And Michelin doesn’t just make tires! For 125 years, Michelin has developed many other services related to car transportation, the best known being maps and guides, always with the same goal in mind: contributing to making transportation safer, smarter and helping people and goods move around more easily. All of these areas of expertise involve observing and analyzing uses and performance. Mastering technologies, analyzing, observing, and knowing about risks will enable us to create products that are increasingly more efficient. This is where DDI comes in: using this extensive expertise related to people’s driving behavior to develop connected and digital applications. DDI was conceived in one of Michelin’s traditional departments and then grown in the Michelin Europe incubator. Today there are about fifteen of us on the team. Q-DDI provides analyses of driving behavior analysis and vehicle data. What does that look like practically speaking? It’s a data processing chain. We start by collecting data from a small box installed in the cars of people who want to participate. The box transmits the data to a platform where it is refined (outliers removed, missing values reconstructed) and enriched with external information such as the state of the road or the weather. Finally, the raw data is transformed into relevant and useful indicators for the driver them drive better. For example: am I braking right? Is the way I make turns cautious enough, am I being careful enough with my speed when it rains, etc. There are many use cases, for example for drivers who have to be accompanied by someone else. Our indicators will allow parents to get objective and fair data that could be used to avoid some generational conflicts. The indicators are conveniently presented on your smartphones or web apps. They show levels of caution, anticipation, attention, adaptability, and pace. With 7 or 8 criteria we can describe someone’s driving style and help drivers better understand where they can make progress. Q- So we're not talking about real time data? No, it’s not about real time. We record how a driver behaves over 1000 or 10000 turns, and then analyze it to provide personalized advice about their conduct. It’s about behavioral analysis over the long term. Q- What is your business model? We have several complementary business models. The first is to monetize access to our algorithms through a subscription service. There is the cost of the box, which is either bought or rented, and then access to our service platform through a subscription per vehicle. Our business model also involves enhancing the value of the statistical dimension of the data processing chain. We work with industries and local communities. With a large number of connected vehicles we will be able to draw general statistics on usage and risky areas. We are talking to partners in the area of road infrastructure, for example, to provide infrastructure diagnostics for communities. Another use case we’ve come up that links to ENGIE’s business involves saying where people drive and where they need energy. Just as smart meters show how your energy is consumed, we help motorists get to know each other better and help manufacturers make better vehicles or services. It is also a source of information for the smart city, identifying where charging stations or carpool areas should be installed. That kind of decision has to be based on analyzing real-life use data. Q- Are you targeting the retail market or vehicle fleets? We help drivers drive better, and for that we need to work with partners who can influence them, meaning their insurers or their employers, for example. So we work in both directions. If I had to summarize, I would say that we take a B2B2C approach and sometimes even a B2B one when it comes to fleet logistics. Q- So for now, individual users can’t buy a box directly from you or in supermarkets? For now no, but these are developments we’re considering with our partners. Michelin already offers services like Safe & Drive, which is a box that uses the cigarette lighter to power emergency calls. With this model, we can develop white label products. We are also currently in discussion with partners who could include our solution in their commercial offerings. We currently have between 10,000 and 15,000 boxes on the road Europe-wide as part of the first round of tests. But the project is obviously intended to be world-wide. Q- Will you be showcasing both the box and the platform at CES? At CES we will actually be showing the prototype and the first version of the box, which is innovative in how it was conceived, its design and its features, since it can be glued to the windshield and will be completely autonomous. But for us, the main thing is to demonstrate the information processing chain, the way we know how to contextualize it and transform it into examples of behavioral analysis indicators. So we will be showing how the data is captured and how it is transformed. Q- What do you expect to get from being at CES? Feedback on our solution that will allow us to refine it. Partnership leads and sales leads. To test the appetite of the American market for our product. To see what we could do in different environments, like connected health systems. 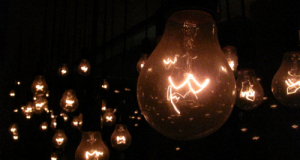 Q- For you, what is the innovation that has most contributed to changing people's lives? Coming from Michelin, I have to say the car, since it democratized mobility, making it accessible to everyone. And mobility is progress, life. I could even say that the major innovation is the wheel, and the tire that goes around it! Q- And what question would you like me to ask you? Well, "What’s it like to be a startup inside a big group? ". Unlike a startup that starts from scratch, we already have a rich history of 125 years of innovation and we have to expand on that, which is both enriching and demanding. It’s sometimes difficult to claim to be a startup while being part of Michelin. It's exciting, but not as simple as it sounds. Even if we have less concern for our day-to-day survival, we have to fight to be more agile and faster every day.